By now I assume most of you are familiar with my ultimate secret ingredient, Sriracha Hot Sauce. I have been adding this to my recipes for many years, and a little goes a long way. It is very popular now, and there are many websites devoted to recipes using Sriracha. It should be available in the ethnic section of most supermarkets throughout the US. Back in the day, we could only get through super-hard-to-find special grocery stores. 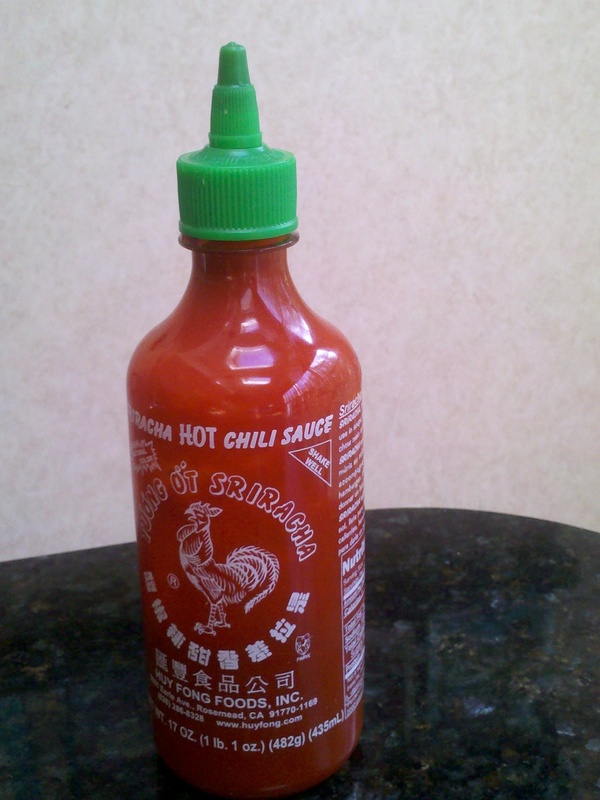 I am happy to see the world finally caught on to the awesomeness that is Sriracha. This is my standard sauce I use to spice up everything from sweet potato fries to burgers to seafood. In a medium bowl, combine ketchup, mayo and sour cream until smooth. Add one heart shaped squirt, mix well, and taste. If it’s good, you are done. If not, add just a little more at a time and keep checking. I prefer about two and a half heart shaped portions, but I like things on the hotter side. Say goodbye to boring old ketchup! 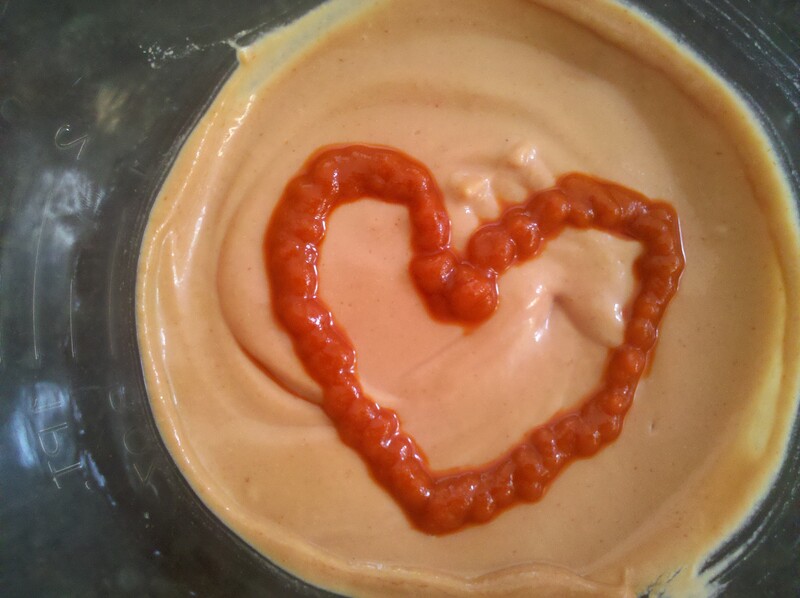 This entry was posted in Sauces and tagged ketchup, sauces, spicy, sriracha by Mom Mom's Apron. Bookmark the permalink. DUDE! This sounds amazing. I’m on it.